Craft brewer Great Newsome is celebrating its 10th anniversary with a special 'Festivale' on June 17. The farm-based brewery at South Frodingham, Holderness, is laying on food, drink and entertainment for the family event in support of the Daisy Appeal medical charity. 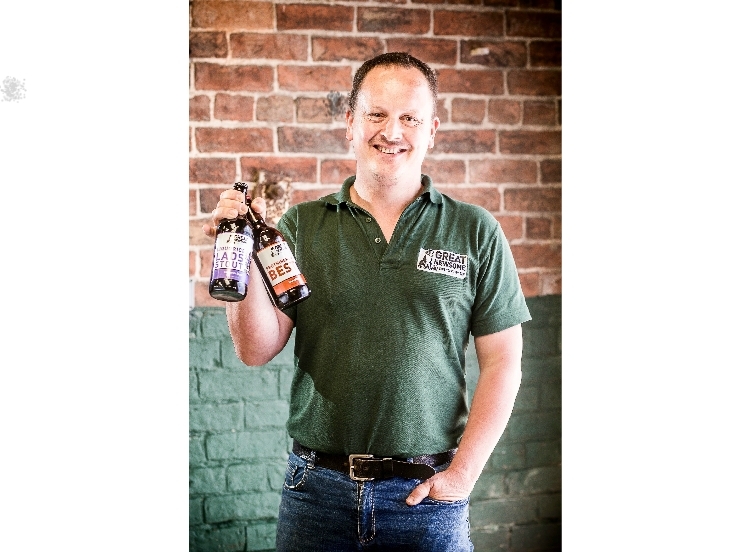 Managing director Matthew Hodgson and his team have produced a decade of growth, with highlights including a world beer award for Frothingham Best Bitter and the launch this spring of Hull 2017 City of Culture beers. Visitors to the Great Newsome Festivale will have the chance to see how these and other favourites such as Sleck Dust, Pricky Back Otchan and Jem's Stout are created. There will be music with local bands Morning Dew and Licks and food from Pie, Kerb Edge and Mr. Moo's plus games and a pub quiz. "We're marking this landmark year with a day of fine beer, food and fun and we also want to raise a healthy amount for the Daisy Appeal, which is a fantastic local charity," said Mr. Hodgson. He said the decision to diversify into brewing at his family's arable farm was taken only after extensive research. "It revealed good opportunities for real ale and we were also encouraged by the growing trend towards locally produced products made in the traditional way. "With a large number of new craft breweries emerging around the country in the succeeding years the market is much more competitive than when we started, but we are continuing find new outlets. "We use homegrown malting barley, with our own strain of yeast, and our emphasis on flavor and quality is paying off. "We are building the business for the next generation and looking forward to seeing what the next 10 years bring." Great Newsome Festivale is on June 17, 1pm to 9pm, at Great Newsome Farm, South Frodingham, Winestead HU12 0NR. Pay at the gate, adults £5, children free. A free pint with every ticket!